In January 2015, Governor Andrew Cuomo announced the Upstate Revitalization Initiative (URI) to restore economic opportunity in regions across Upstate New York. Seven regions are eligible to compete for one of three $500 million prizes. The competition combines the expertise and structure of the Regional Economic Development Councils (who have been engaged in four years of sound research, collaboration, and investment) with successful elements of Western New York’s Buffalo Billion Initiative—a program that focuses on jumpstarting the Western NY economy. The goal of the URI is to create and maintain well-paying net new permanent private sector jobs, attract and retain private sector investments, and contribute to the growth of widespread wealth across Upstate New York. Each region is charged with developing their own investment plans based on a comprehensive view of the region’s economy. These plans identify existing assets, highlight needs and recommend areas of opportunity for proposed investment that will lead to transformative changes in the regional economy. Using the knowledge gained as a key player in the development of the Buffalo Billion Investment Development Plan and member of the Buffalo Billion Delivery Unit, UBRI assists each of the Upstate regions with research to help guide their URI plans. Our work consists of a range of decision-making tools that help create a more level playing field and prepare regions as they embark on their planning processes to solidify their own regional visions for the future. Our research is designed as a step-by-step guide and bottom-up approach to lead regions from a broad analysis of their current economic conditions to an implementation plan for targeted, strategic initiatives. Each deliverable builds upon the previous one with the end result being a comprehensive set of materials that will inform a transformative investment plan grounded in solid research and stakeholder commitment. We believe that by using this data, compiled uniformly and in an unbiased manner across all regions, combined with the work of the Regional Economic Development Councils, each region will be equipped with the information they need to design a competitive plan. Understanding where your region stands today can guide strategic investments for the future. UBRI has developed a suite of interactive tools to help all regions in New York State take a closer look at data and mapping that corresponds to the interconnected elements that make up regional economies. Understanding how industries change over time, where there are particular specializations and which industries have opportunity for growth can guide strategies for economic prosperity. 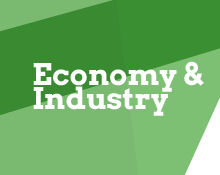 Discover which industries in your region have seen employment and wage growth, and which offer unique specialization or above average income generation for your region. Looming retirement cliffs and an out-migration of young people can strain a regional economy's workforce. 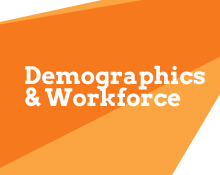 Find out which industries in your region are attracting young workers and if others may be challenged by an aging workforce. 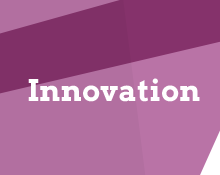 Local colleges and universities are major drivers of innovation. Explore the state's higher education institutions to learn more about enrollment, degrees earned (especially in innovation-fueling STEM fields), and R&D expenditures. Vacant commercial property in job dense areas offers potential for development opportunities while preventing the costly consequences of sprawl. 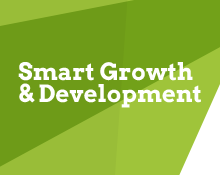 Learn where there is opportunity for job growth in developed areas of your region. UBRI develops critical economic, social and land use indicators to assess where the regions stand today. This data is summarized to communicate key regional patterns compared to Upstate, New York State and the nation; and identify strengths, weaknesses, opportunities, and threats in each regional economy. Regions use this data to identify the region’s competitive advantages based on existing resources, as well as opportunities for growth through effective use of URI funds. Together with broad input from the community, this baseline assessment is intended to help regions decide on key catalytic initiatives for their URI plans. With unique approaches to economic revitalization grounded in solid, quantitative data, the regions are undoubtedly better positioned to make the case for a $500 million investment. Bearing in mind that every region has different needs and approaches to community engagement, and that the Regional Economic Development Councils are already working with key stakeholders and the public at-large, UBRI developed a Community Engagement Toolkit to be used for meaningful public participation and feedback specific to the URI. The Toolkit wasn’t designed to be formulaic or prescriptive; rather it was designed with flexibility depending on the phase of the URI plan and the region’s needs and goals. The tools can be used to gather community input and build consensus for the future direction of the region’s economy in ways that work best for each region’s URI process. In their URI plans, regions are asked to identify a suite of projects and actions (“initiatives”) that, taken together, will transform the region. UBRI provides additional targeted research and identifies best practices for some of these initiatives. Through thoughtful consideration of stakeholder input, targeted research and best practices, UBRI provides elements of an implementation plan such as management structure and private sector leverage to ensure feasibility and long-term success of the initiatives.